Examples, solutions, videos, worksheets, and lessons to help Grade 7 students learn to graph lines by x and y-intercepts. The following diagrams show how to graph lines using the X and Y intercepts. 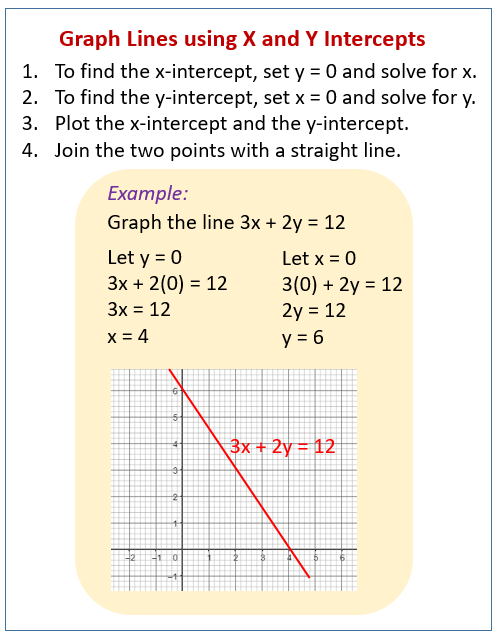 Scroll down the page for more examples and solutions on graphing lines using x and y intercepts. How to Graph Lines Using X, Y Intercepts?